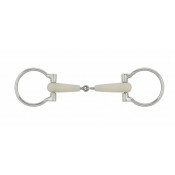 The unique Apple scent encourages horses to accept the bit and the space age polymer provides for a .. 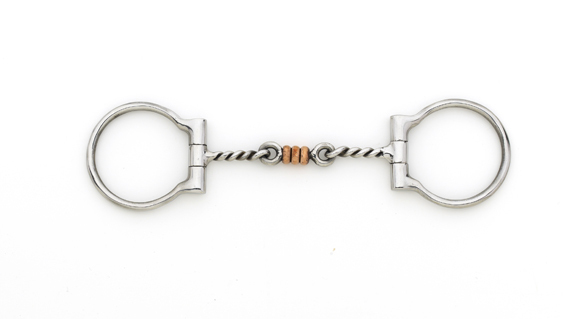 Mouth Type: 3-Piece Copper Link Snaffle, Ring Size: 75mm.. 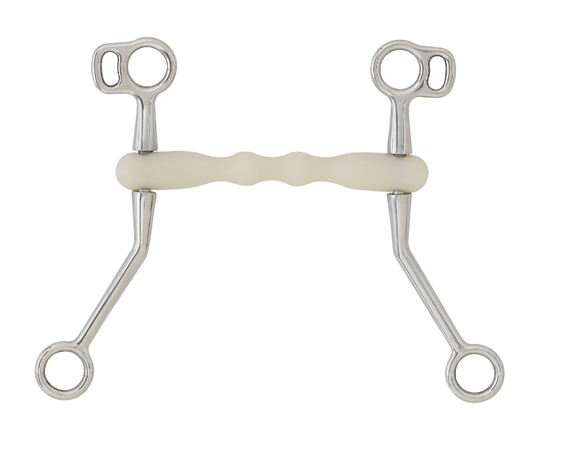 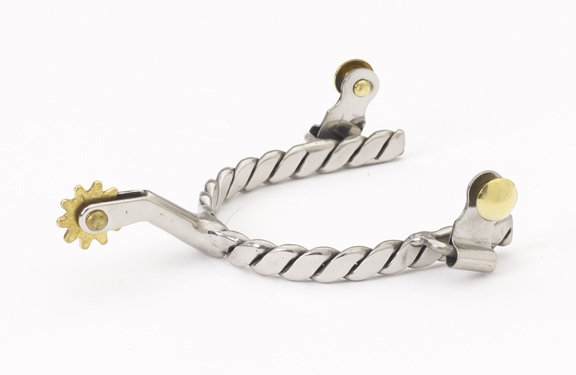 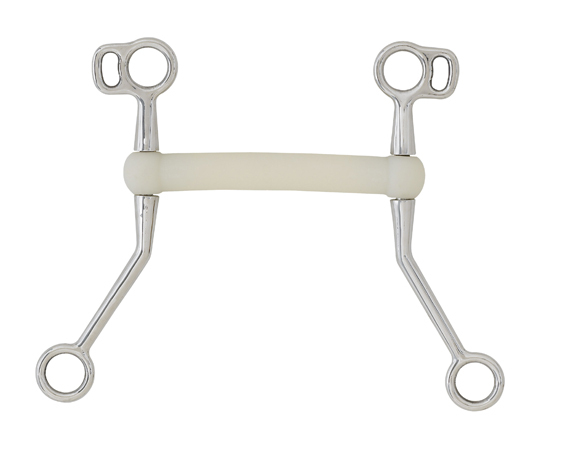 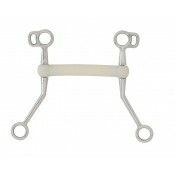 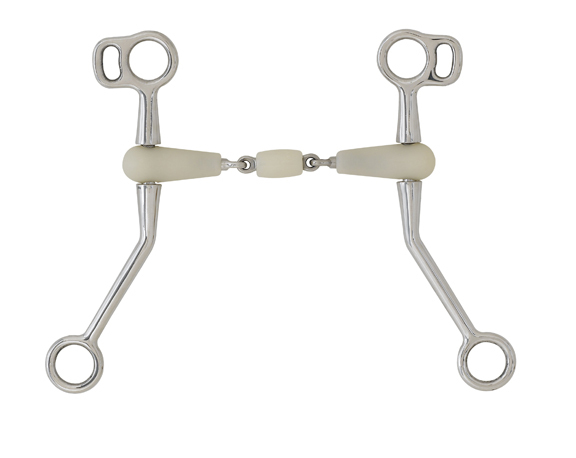 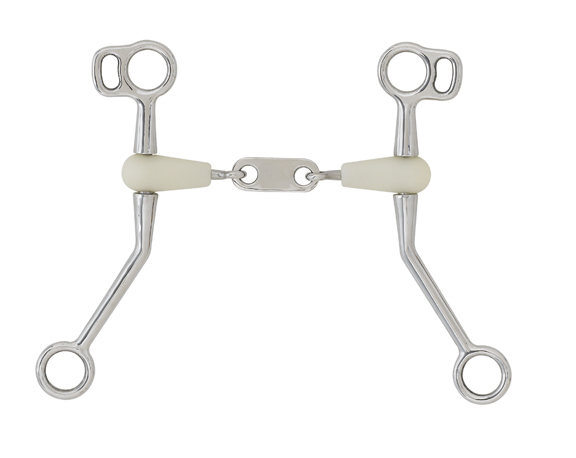 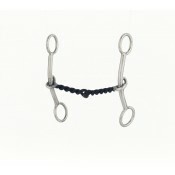 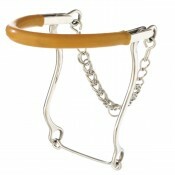 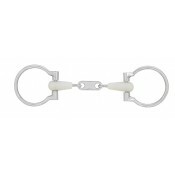 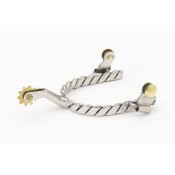 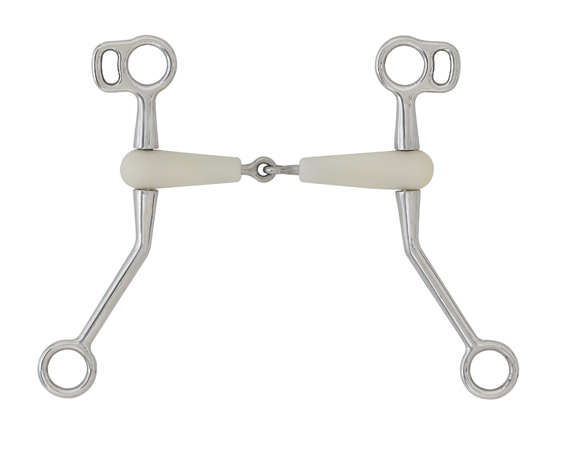 Mouth Type: 3-Piece Roller Snaffle, Cheek Length:180mm.. 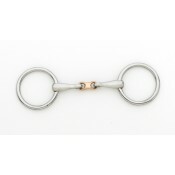 Mouth Type: Three Piece Copper Link, Ring Size: 75mm.. 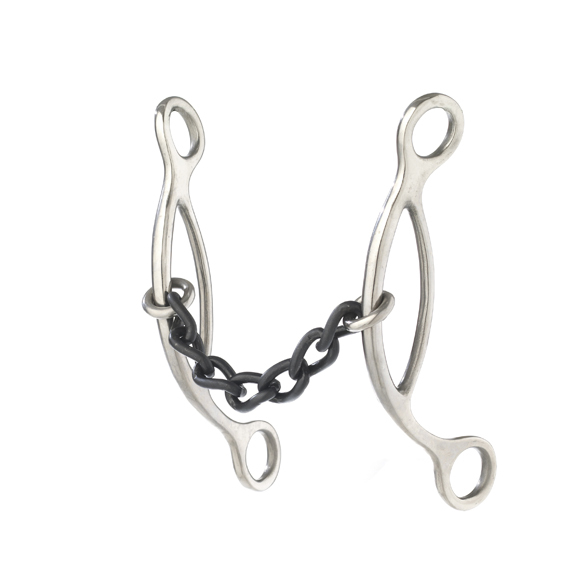 Mouth Type: Sweet Iron Snaffle, Ring Size: 75mm..
Made with premium polished stainless steel with brass buttons. 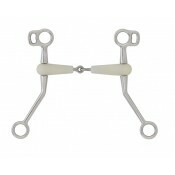 Band: 1/2" Shank: 1 1/2" Rowel: 10pt.. Mouth Type: Sweet Iron Copper Inlay Snaffle, Cheek Length:178mm.. 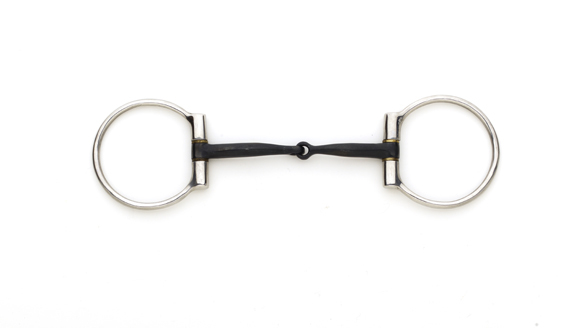 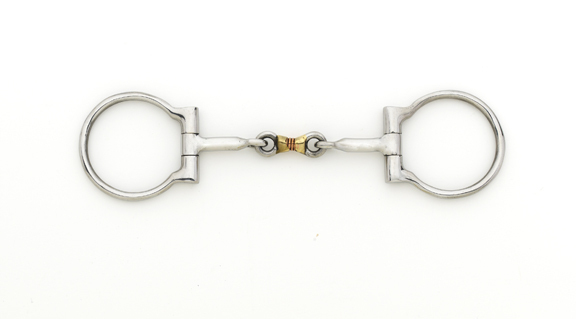 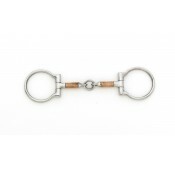 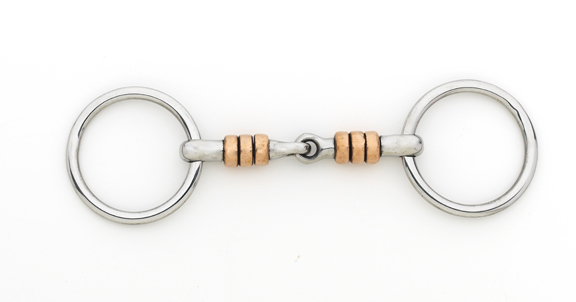 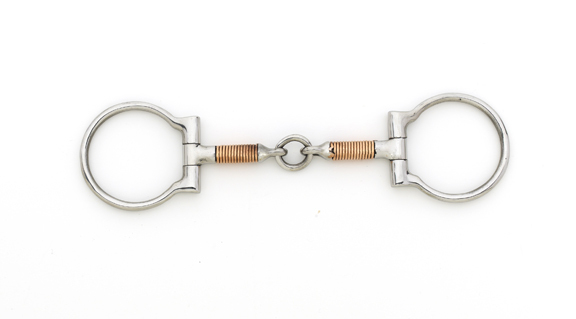 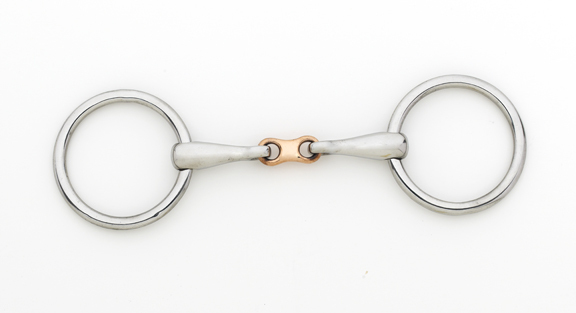 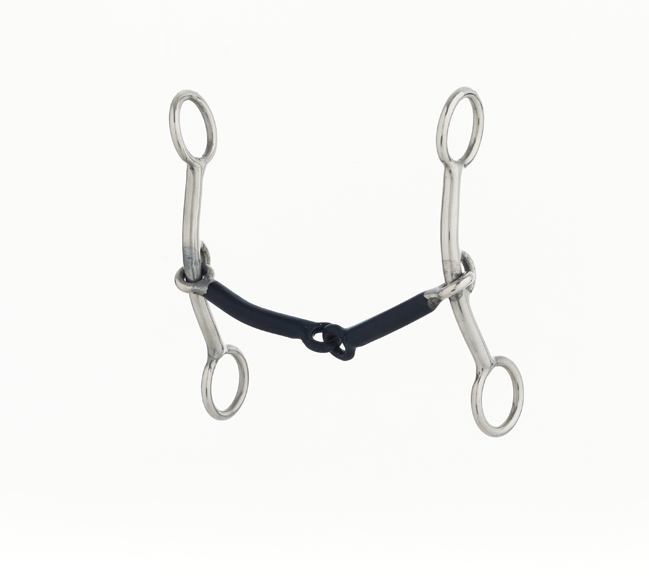 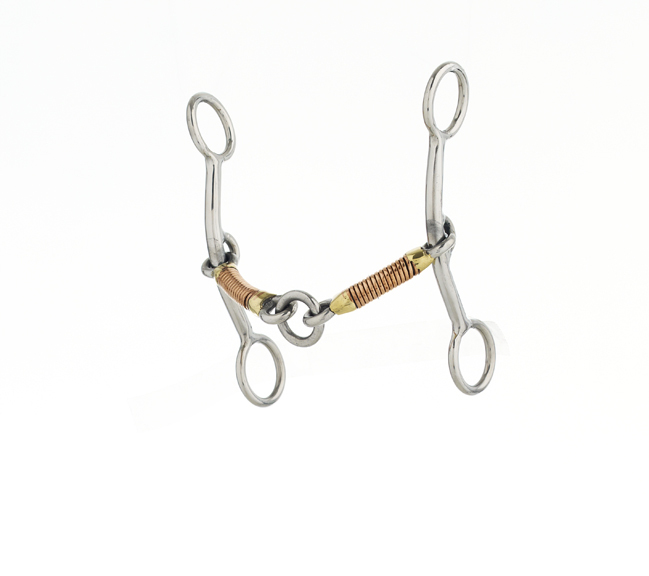 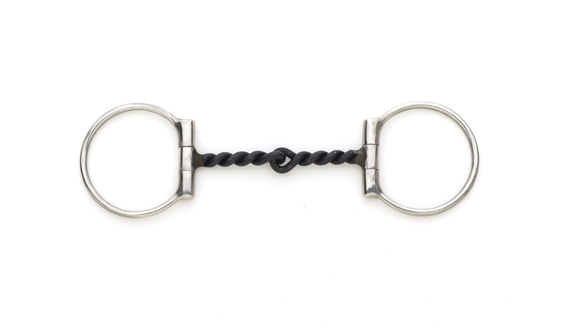 Mouth Type: Copper Link 3-Piece Snaffle, Ring Size: 75mm.. 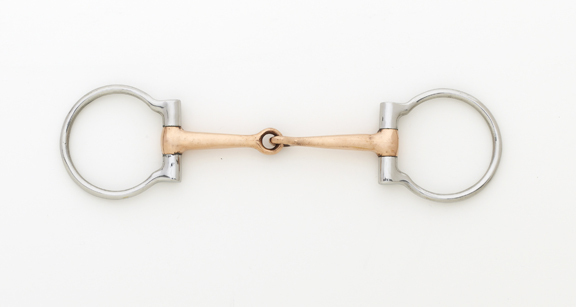 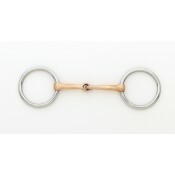 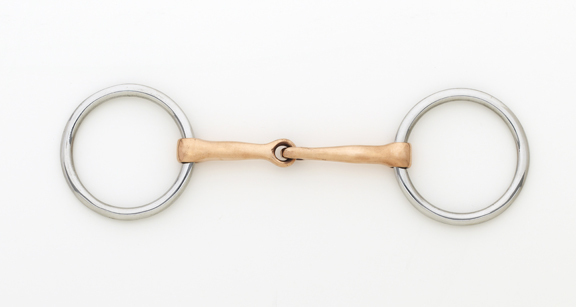 Mouth Type: Copper Ring Snaffle, Ring Size: 75mm.. 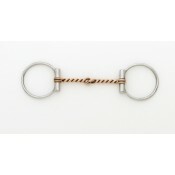 Mouth Type: Jointed Straight Copper Roller, Cheek Length:160mm.. 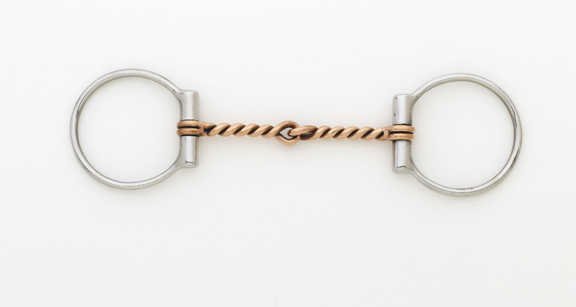 Mouth Type: Copper Snaffle, Ring Size: 65mm.. 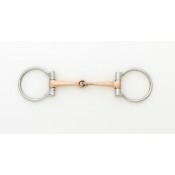 Mouth Type: Copper Snaffle, Ring Size: 75mm.. 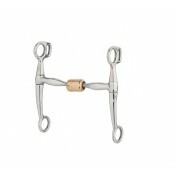 Mouth Type: Copper Snaffle, Cheek Length:160mm.. 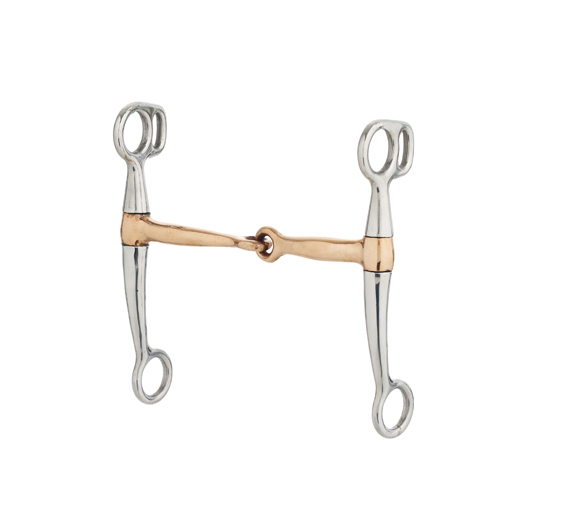 Mouth Type: Copper Twisted Snaffle, Ring Size: 75mm.. 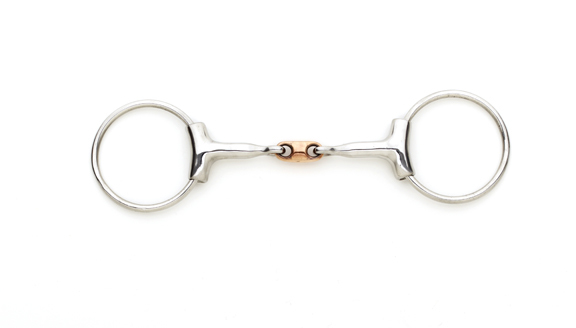 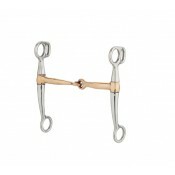 Mouth Type: Copper Twisted Snaffle, Ring Size: 65mm.. 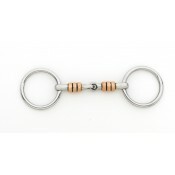 Mouth Type: Copper Wrapped Lifesaver, Ring Size: 75mm.. Mouth Type: Copper Wrap Lifesaver, Cheek Length: 152mm.. 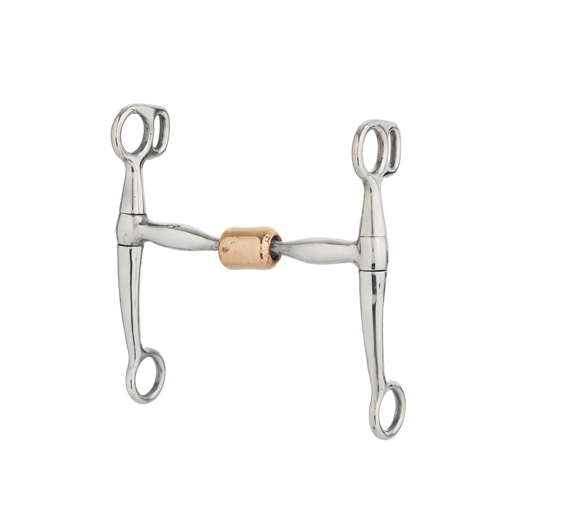 Mouth Type: Med Port Copper Roller, Cheek Length:170mm.. Mouth Type: Sweet Iron Wrapped Ported Pretzel, Cheek Length: 152mm.. 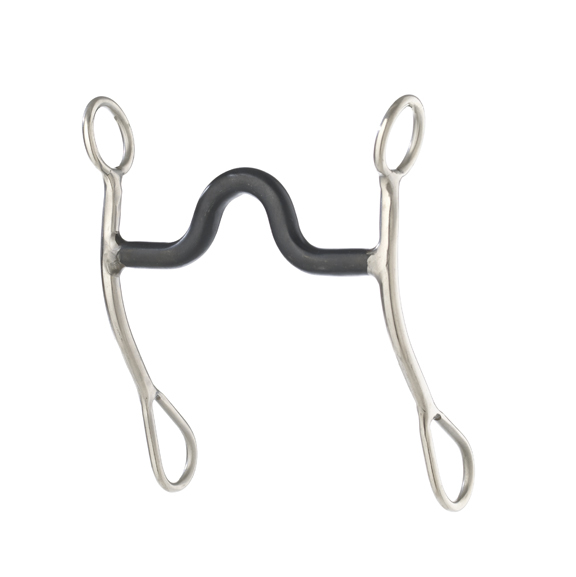 Mouth Type: Sweet Iron Snaffle, Cheek Length: 152mm.. 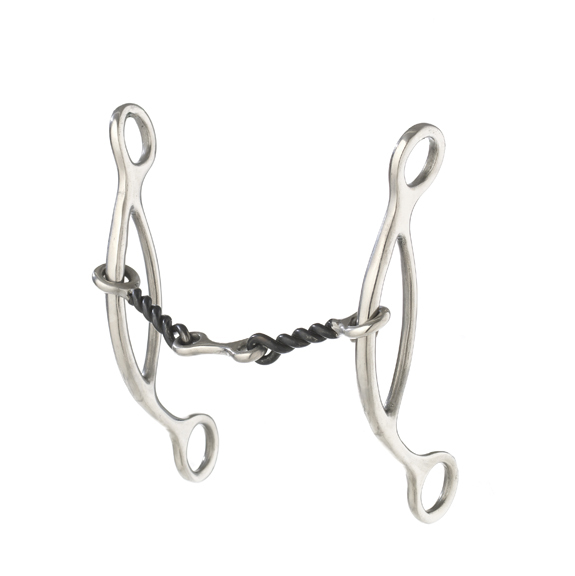 Mouth Type: Snaffle, Ring Size: 75mm.. 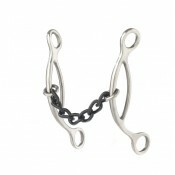 Mouth Type: Sweet Iron Chain, Cheek Length: 165mm.. 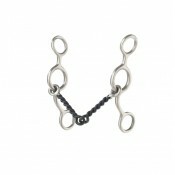 Mouth Type: Sweet Iron Chain, Cheek Length: 127mm.. 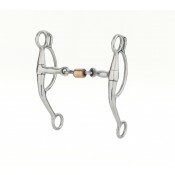 Mouth Type: Sweet Iron Twisted Dogbone Snaffle, Cheek Length: 165mm.. 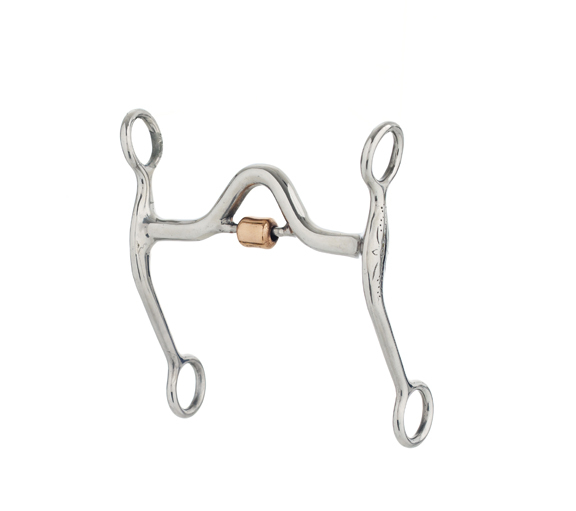 Mouth Type: Sweet Iron Copper Roller Dogbone Snaffle, Cheek Length: 127mm.. Mouth Type: Sweet Iron Medium Port, Cheek Length: 178mm.. 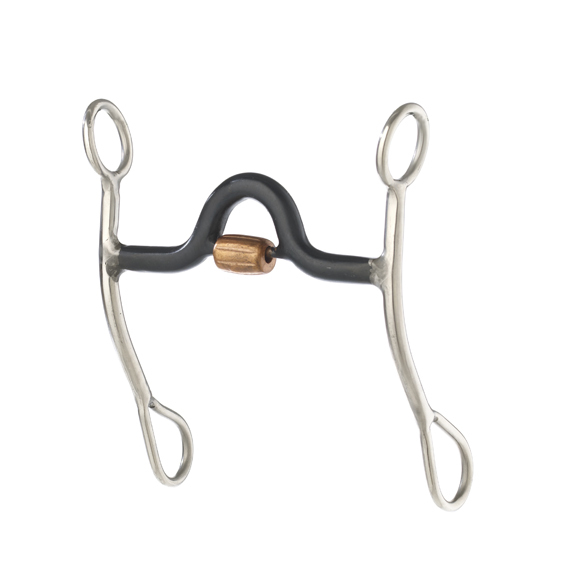 Mouth Type: Sweet Iron Medium Port Copper Roller, Cheek Length: 178mm.. 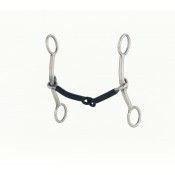 Mouth Type: Sweet Iron Snaffle, Cheek Length: 127mm.. 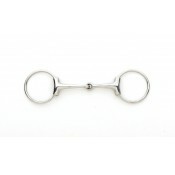 Mouth Type: Sweet Iron Snaffle, Cheek Length:178mm.. 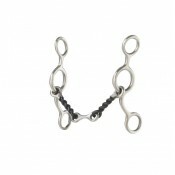 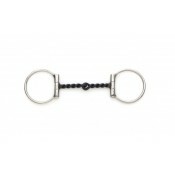 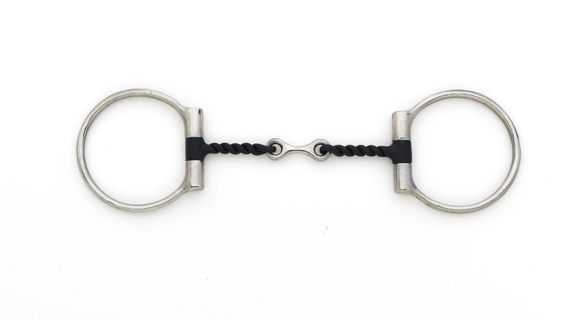 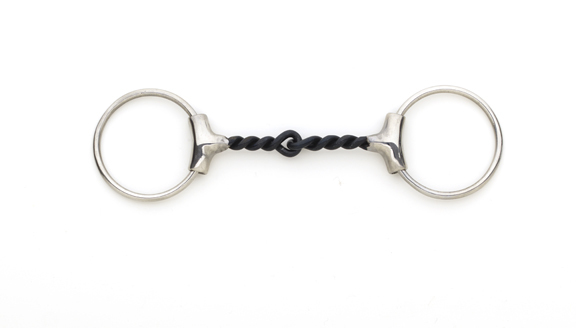 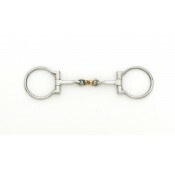 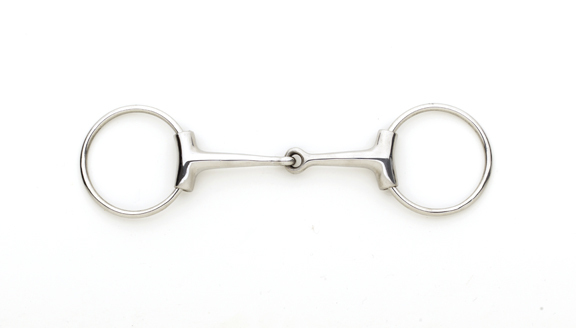 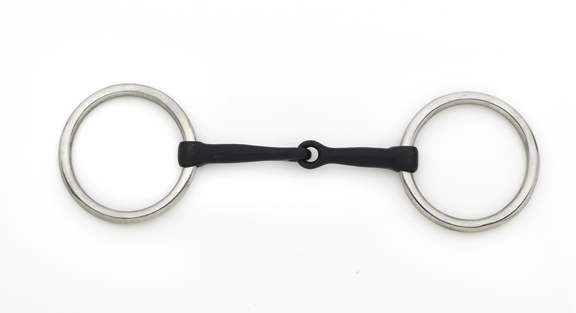 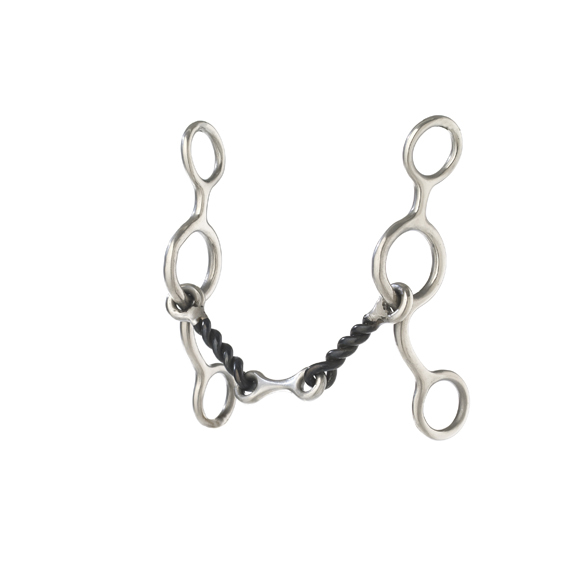 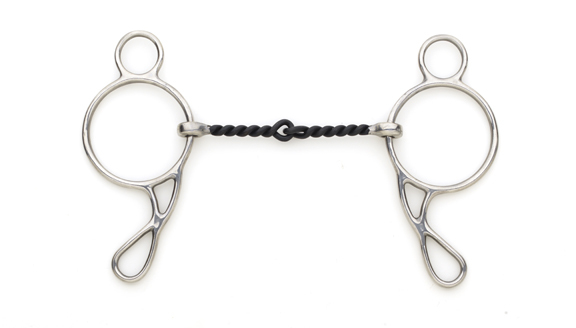 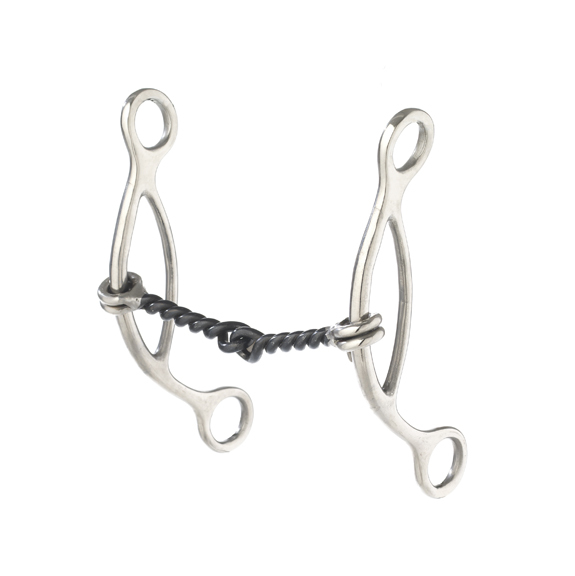 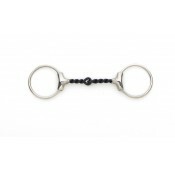 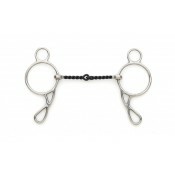 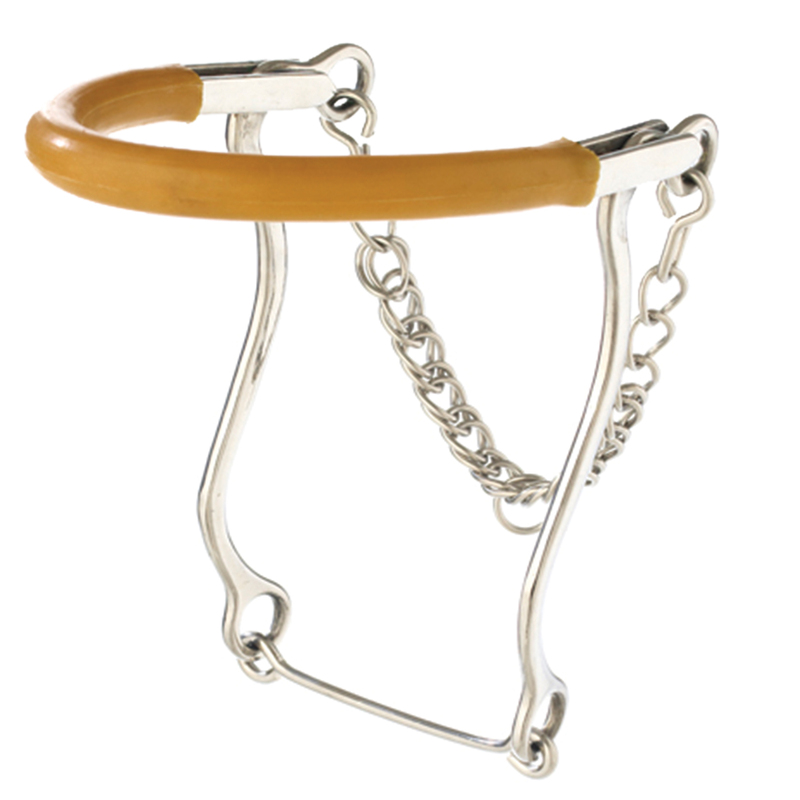 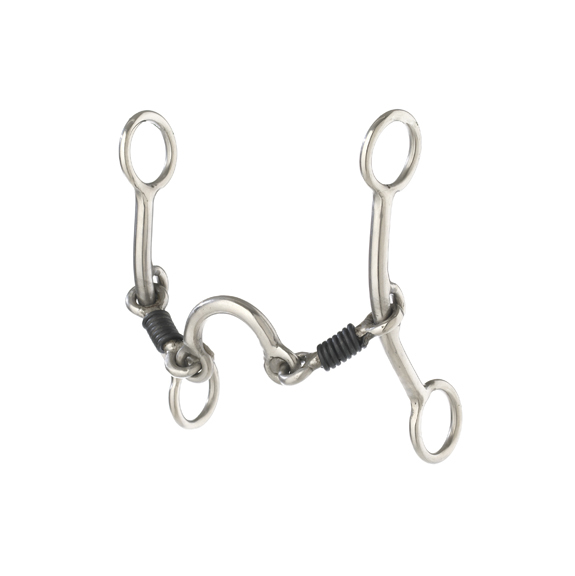 Mouth Type: Sweet Iron Twisted 3-Piece Dogbone Snaffle, Ring Size: 75mm.. 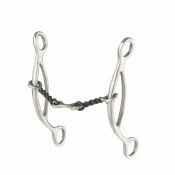 Mouth Type: Sweet Iron Twisted Snaffle, Ring Size: 75mm.. 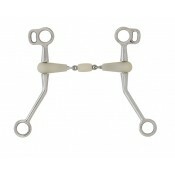 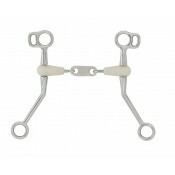 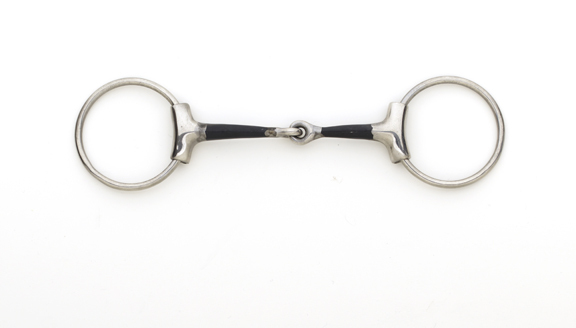 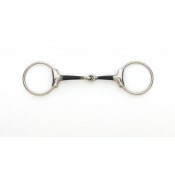 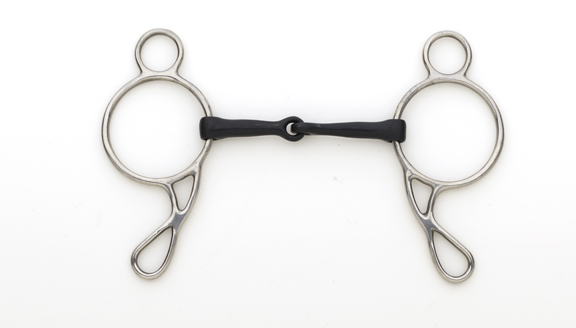 Mouth Type: Sweet Iron Twisted Dogbone Snaffle, Cheek Length: 127mm.. 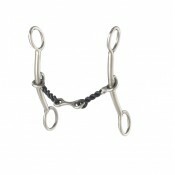 Mouth Type: Sweet Iron Twisted Snaffle, Cheek Length: 165mm.. 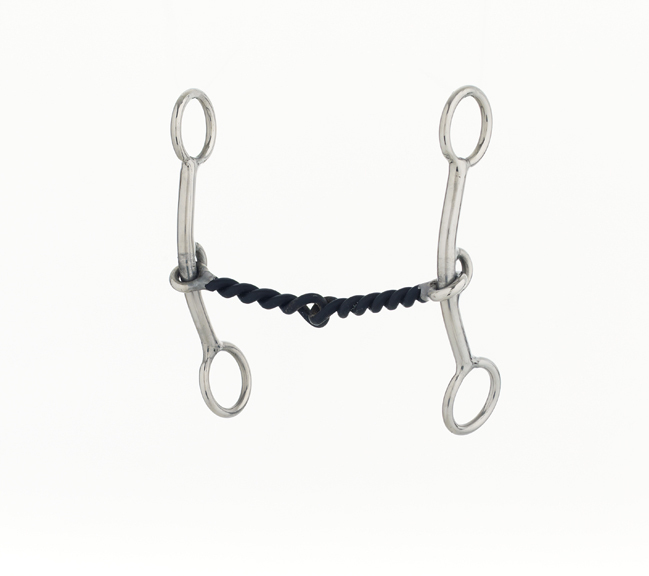 Mouth Type: Sweet Iron Twisted Snaffle, Cheek Length: 127mm.. 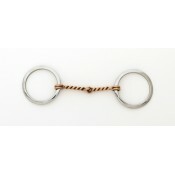 Mouth Type: Twisted 3-Piece Copper Ring, Ring Size: 75mm.. 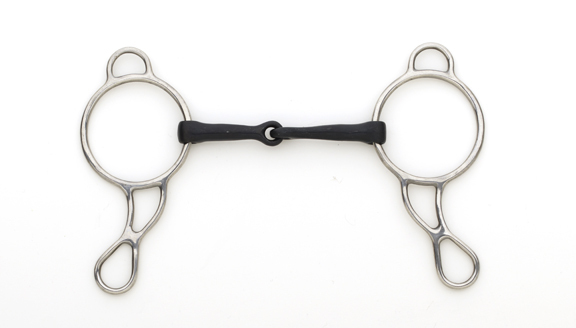 Mouth Type: Sweet Iron Twisted Dogbone Snaffle, Cheek Length: 152mm.. 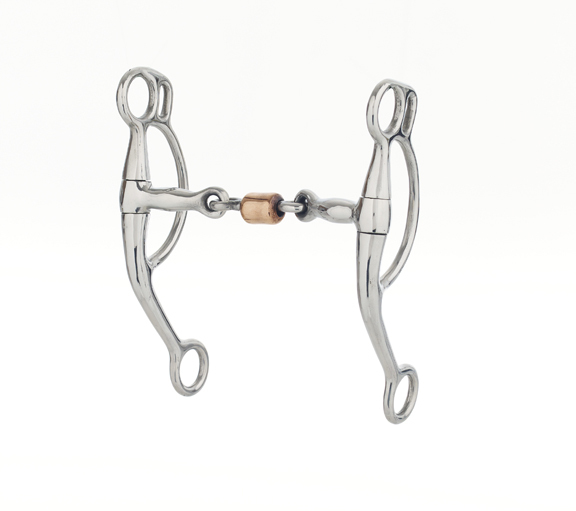 Mouth Type: Sweet Iron Twisted Snaffle, Cheek Length: 152mm.. 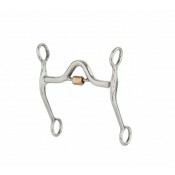 Mouth Type: Sweet Iron Twisted Snaffle, Cheek Length:178mm..